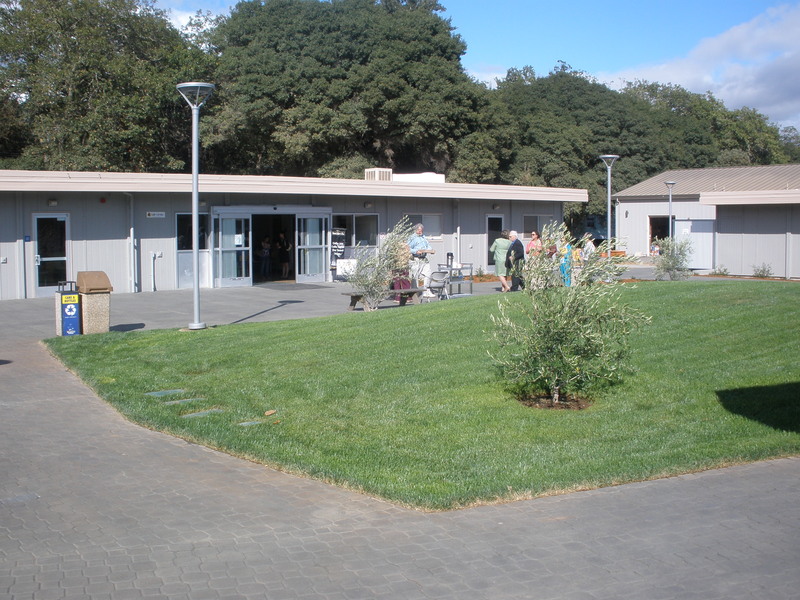 On Wednesday, September 8, a groundbreaking ceremony was held for the new Library and Learning Resource Center at Mendocino College in Ukiah. 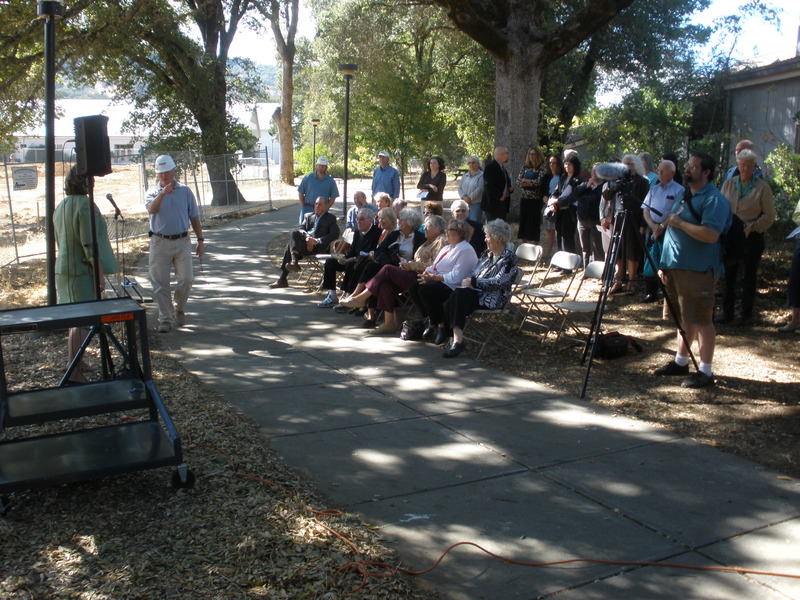 The ceremony, which occurred on an unseasonably cool afternoon, was attended by about 50 people, including the college board of trustees, faculty, staff, students, community members, and various elected official representatives, including Benj Thomas, the shorts-clad mayor of Ukiah. President/Superintendent Kathy Lehner moderated the ceremony, which concluded with the mandatory photos with golden shovels. The 47,000 square foot building, which is being built by Midstate Construction, was actually started in June, and they were scheduled to begin the first pour of concrete foundations this morning at 2:00 am. I couldn’t seem to convince John Hunter that he should be there to witness the first pour. 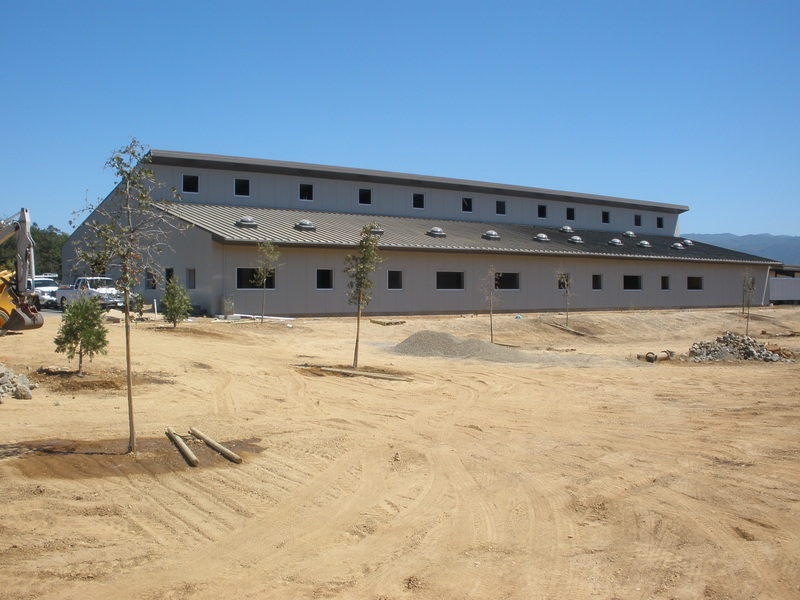 The building is expected to be ready for occupancy by the Spring of 2012. The event also included a tour of the recently completed East Campus, which relocated the modular buildings out of the way of the new LLRC, and created a new landscaped courtyard that has turned out to be extremely popular. A tour of the nearly completed Maintenance Building/Warehouse was also part of the afternoon festivities. All 3 of the projects were designed by TLCD, and the feedback from the College so far has been very positive.